On 14 June 1773, Massachusetts speaker of the house Thomas Cushing wrote a letter to Benjamin Franklin in London. He had a thorny topic to address. Franklin had sent Cushing a bundle of letters written by royal officials and supporters in New England a few years before. The letters came with strict conditions of secrecy about who could see those documents; Franklin insisted that they not be copied or published. I have endeavoured inviolably to keep to your Injunctions with respect to the papers you sent me, I have shewn them only to such Gentlemen as you directed, no one person excepting Dr. [Samuel] Cooper and one of the Committee of Correspondence know from whom they Come or to whom they were sent. I have constantly avoided mentioning your name Upon the Occasion so that it never need be known (if you incline to keep it secret) who they Came from or to whom they were sent and I desire so far as I am Concerned my name may not be mentioned, for as I hold an office in the Government subject to the Governor’s negative, it may be a damage to me. Notwithstanding all my Care and precaution it is now publicly known that such Letters are here; the Governor [Thomas Hutchinson] suspects they were brought over by Mr. William Storey; Considering the number of Person’s who were to see them (not less than Ten or fifteen) it is astonishing to me they did not get Air before. When I first received them I was in great doubt whether to Communicate them to one single person or not, for when I considered the number of Persons I was directed to Communicate them to, I apprehended, it would be almost Impossible to Keep them secret, however I considered further that they Contained matters of Importance that very nearly affected the Government, that they were sent as much to the Persons named in your Letter as to my self and consequently that they had as good a right to determine what Improvement was to be made of them. In 1765 William Story was deputy registrar of the Admiralty Court in Boston. A mob had attacked his house on 26 August, the same night people did much greater damage to Hutchinson‘s mansion. Later his career in the royal government stalled. He had resigned and moved to Ipswich with his second wife. In 1771 Story sailed for London “to settle an Affair of his own relating to the Admiralty Court, in which the Commissioners of the Customs as he says declare it is out of their power to do him Justice”—which means he had first tried to work through the Customs board and been disappointed. On that trip Story carried a letter of introduction from Gov. Hutchinson to Lord Hillsborough, Secretary of State, and another from Samuel Adams to Arthur Lee, Virginia-born agent for the Massachusetts house. He was ready to work both sides. Story didn’t get what he wanted, and he returned to Massachusetts. Evidently Hutchinson thought he might have brought back the sensitive letters. Story hadn’t done that, but he had finally come down on the side of the Whigs. In 1775 Ipswich elected him to the Massachusetts General Court, and he became one of the busiest members of the wartime legislature. it was thought adviseable by those to whom they were sent to Communicate them to the House provided they would engage they should not be printed nor Copied in whole or in part and that they Should return them again after a Convenient time when called for, which Engagement the House Entered into and they were read, upon which the House resolved it self into a Committee of the Whole House and after due Consideration the Committee reported to the House that it was their opinion that it was the design and Intention of these Letters to overthrow the Constitution of this Government and to Introduce arbitrary Power within this Province, which report was accepted by the House–101 Members for it, but 5 against it, and then the Letters were Committed to a Committee of nine to Consider what was proper to be done thereupon. But wait, there was more! At least one copy of all the letters was circulating in Boston. That required more explanation. While this matter was under Consideration of the House several Vessells arrived from London by Whom, it was reported, that Copies of these very letters were arrived and Wednesday the 9th Instant Mr. [John] Hancock Informed the House that he had received a Number of Letters which were said to be Copies of those that were before the House, and as the House were under some Engagements with respect to the Letters that had been Communicated to them, he moved that the Copies he had received might be Compared with those before the House and if they proved to be true Copies the House might have them and make what use of them they thought proper. So the house was still keeping the original letters that Franklin had sent under wraps. People were sharing copies of those letters from a source that no one ever named. 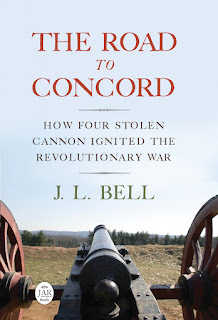 Copies that for all anyone knew might have been made in London, and not during the months when the originals were being passed around in Massachusetts or the recent days when the legislature was hotly debating them. This was a great releif to the House as they were under some Difficulty about proceeding upon the other Letters under their present Engagements as they were thereby prevented from taking any Copys of them in whole or in part. What determinations the House will Enter into I cannot at present say, but it is universally apprehended that the G–v–r will never be able to recover the Confidence of this People and that his Usefullness is at an End. I have done all in my power strictly to Conform to your restrictions, but from the Circumstances above related you must be sinsible it was Impossible to prevent the Letters being made public and therefore hope I shall be free from all Blame respecting this Matter. The next day, the Massachusetts house officially voted to have “a sufficient Number of printed Copies of the Letters” made. 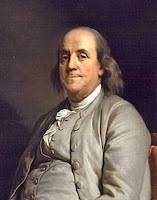 In fact, the printers Edes and Gill had recorded the house’s order for 316 copies of the letters back on 10 June, four days before Cushing wrote to Franklin. In his long explanation he managed not to mention that the letters were already being set in type. But after all, the speaker might as well have concluded, how could this disclosure in Boston harm Franklin’s career?